You are a generous person with a love of GSPs. With simple planning now, your generosity for GSPs will continue to make a difference in the years ahead. By making a gift to NorCal GSP Rescue through your will, trust, or another legacy plan, you can create a meaningful gift for the future. Read more below for additional information on including NorCal GSP Rescue in your estate plans. Our full legal name is NorCal German Shorthaired Pointer Rescue Inc and our tax ID is 26-0129307; we are a 501(c)(3) tax-exempt organization. If you’d like to notify us (we’d love to be able to thank you), you can, but it’s not required. Should you choose to do so, please complete the Confidential Bequest Intention Form, and/or notify our Treasurer. Planned gifts offer you the opportunity to combine your charitable interest in NorCal GSP Rescue with estate planning options that often feature favorable financial and tax benefits. When you prepare your will or trust, you ensure that you’ve taken care of the people you love and the causes that are important to you. It just takes a simple provision, and gives you the flexibility to decide. Here is some suggested language that you could use in your will or trust. Please feel free to adapt this with your attorney to suit your individual situation. I give to NorCal German Shorthaired Pointer Rescue Inc, non-profit tax ID 26-0129307, (the sum of $__________) (all or ______ percent of my residual estate) to be used for its general purposes. Announcing two free options for NorCal GSP Rescue supporters! Make your will today with this free online tool called FreeWill, valid in all 50 states. It’s perfect for the straightforward will, takes about 25 minutes to complete, after which you’ll print your personalized legal documents, then have them signed by two witnesses. Have a more complicated estate or wish to establish a trust? If you reside in California and designate $10,000 or more to NorCal GSP Rescue, attorney Deborah A Malkin will provide you with a full estate plan at no charge. It is her way of giving back to the animal rescue community. She is a Certified Legal Specialist in Estate Planning, Trusts & Probate, certified by the Board of Legal Specialization of the State of California. What’s involved? A client questionnaire, and two meetings in Soquel, CA. If you reside outside of California, use the free online tool – at the end of your will-making process, you’ll receive a set of documented wishes and help in finding qualified attorneys near you. You choose the percentage you’d like to designate. 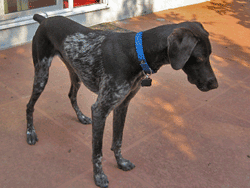 You can also name NorCal GSP Rescue as a secondary or contingent beneficiary. Work with your financial or legal advisor to see if this is the right option for you. Also consider a charitable remainder or charitable lead trust. Simple and immediate, an outright gift can go straight to work helping the GSPs in need. Discuss the best options for you with your legal and financial advisors. Examples include: shares of stock or mutual funds from publicly traded companies; required minimum distributions from your retirement accounts that could become qualified charitable distributions; and other gifts such as real estate, jewelry, etc that require more planning and may have strict regulations. 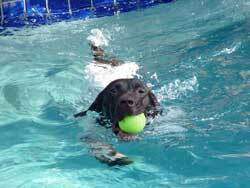 Note: NorCal GSP Rescue does not provide legal, tax, or financial advice. The information provided is general in nature, and we encourage you to consult with your professional advisors regarding your specific situation and wishes. What is NorCal GSP Rescue’s full legal name? What is NorCal GSP Rescue’s address? What is NorCal GSP Rescue’s tax identification number? How do I get in touch with someone to talk about planned giving? Please email our treasurer and she will be glad to help you. I already put NorCal GSP Rescue in my will. Do I need to do anything else? Yes, we would appreciate it if you would complete a Confidential Bequest Intention Form so that we can have a written record of your generosity. It’s a non-binding confidential agreement strictly for our records. Thank you for your legacy of generosity! The GSPs say THANK YOU! A bequest that we received shortly after we formed as a non-profit group allowed us to pay for two extensive orthopedic surgeries and follow-up care for Tumbleweed and Tre. The total cost of over $10,000 would have drained our coffers completely. 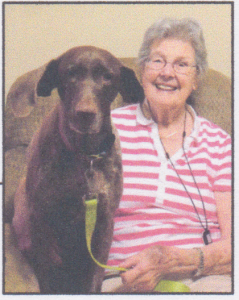 In addition, the gift funded our main telephone number for ten years, as part of the donor’s wish that persons hoping to adopt a GSP would have a way to reach us. Tumbleweed is ready for action! Thank you to these wonderful donors for their legacy of generosity.